This is one of Heaths great books. 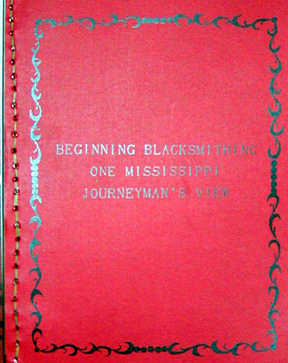 It contains everything for beginning blacksmithing, as well as, some wonderful projects like crafting a Kentucky long rifle. A great book that is down to earth and is even hand bound with thousands of illustrations. Heath teaches the basics of blacksmithing, forging techniques, hardening and heat treatment, leather bellows construction, simple instructions on how to forge weld, and the history of iron smelting.